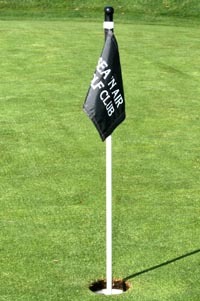 We are the Sea 'N Air Men's Golf Club and have no affiliation with the Sea 'N Air Pro Shop. All Pro Shop communications should be addressed to the Pro Shop. See thier contact information below. If you have any questions regarding the website, Men's Club membership, handicaps, rules or anything else, send us an email and we'll get back to you as soon as possible.